Din Sized enclosuer for panel mounting. 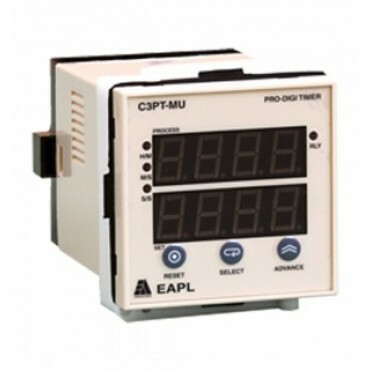 Digital dual display for set value and process value. TYPE OF START SIGNAL (programable) : NO START / PULSE / CONTINUOUS.